AXA Group, the French insurer with more than 100 million clients globally, said it has decided to exit €1.8bn of tobacco investments, to adhere to its ESG commitments – but AXA IM, the investment partner of AXA Group, says it will leave its clients to determine whether it, too, gets out of the sector. The AXA Group statement on its decision notes that about half of cancer cases are caused by “lifestyle choice”. 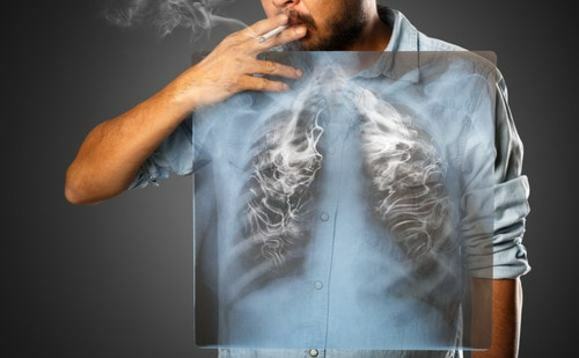 It said: “Tobacco consumption is the major cause of long term non-communicable diseases. Today, tobacco kills 6 million people per year, a figure that is expected to rise to 8 million by 2030, mostly in developing countries. Unless urgent action is taken to reverse this trend, tobacco will kill one billion people worldwide during the 21st century. Its cost, estimated at €2.1trn per year, equals the combined expenses of war and terrorism. The decision to divest will result in an immediate sale of some €200m of tobacco equities, and the run-off of existing holdings in some €1.6bn of tobacco industry bond holdings, the Group stated. Thomas Buberl, ceputy CEO and incoming CEO of AXA, said: “We strongly believe in the positive role insurance can play in society, and that insurers are part of the solution when it comes to health prevention to protect our clients. Hence, it makes no sense for us to continue our investments within the tobacco industry. However, an AXA Investment Managers (AXA IM) spokesperson confirmed that the Group level decision is not automatically applied to the investment products offered by the asset management business. The manager added: “Our RI [responsible investment] specific funds already exclude tobacco stocks, and we manage a number of segregated mandates [in which] the client has asked us to not invest in companies that derive profit from tobacco. “Our proprietary RI Search tool provides all of our portfolio managers with access to detailed environmental, social and governance analysis allowing them to data mine and to isolate specific ‘risks’ such as tobacco or carbon, as well as aggregated ESG risks. “We take an active approach to monitoring companies and act as stewards of investments made on behalf of our clients. Stewardship entails our considered approach to the management of our clients’ assets keeping in mind their long-term interests and engaging with company representatives on issues of concern that impact the company’s long term performance. AXA noted that the AXA Group has pledged to triple its “green” investments in its general account assets to more than €3bn worth by 2020.